Birthstone Heart, Initial & Pearl Necklace on a Personalised Card Mount for Sister, Mum, Nanny, Bridesmaid, Friend & many more. 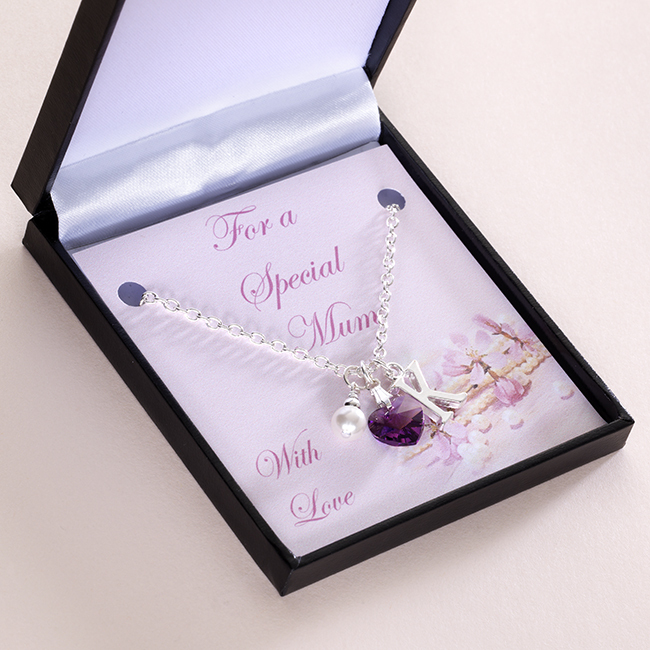 A lovely necklace with a Swarovski Elements crystal birthstone heart, initial and pearl charms. « Medical Steel Chain Necklace with Custom Engraved Star.